Goodreads says, "Big Little Lies follows three women, each at a crossroads: Madeline is a force to be reckoned with. She’s funny and biting, passionate, she remembers everything and forgives no one. Her ex-husband and his yogi new wife have moved into her beloved beachside community, and their daughter is in the same kindergarten class as Madeline’s youngest (how is this possible?). And to top it all off, Madeline’s teenage daughter seems to be choosing Madeline’s ex-husband over her. (How. Is. This. Possible?). Celeste is the kind of beautiful woman who makes the world stop and stare. While she may seem a bit flustered at times, who wouldn’t be, with those rambunctious twin boys? Now that the boys are starting school, Celeste and her husband look set to become the king and queen of the school parent body. But royalty often comes at a price, and Celeste is grappling with how much more she is willing to pay. New to town, single mom Jane is so young that another mother mistakes her for the nanny. Jane is sad beyond her years and harbors secret doubts about her son. But why? While Madeline and Celeste soon take Jane under their wing, none of them realizes how the arrival of Jane and her inscrutable little boy will affect them all. 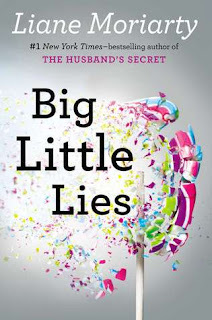 Big Little Lies is a brilliant take on ex-husbands and second wives, mothers and daughters, schoolyard scandal, and the dangerous little lies we tell ourselves just to survive." It's kindergarten orientation at Pirriwee Public School and readers meet Madeline, Celeste, and Jane, three very different mothers. Madeline is a delightful character that many can relate to. She injures herself on the way to kindergarten orientation (thanks to those new high heels) and another new-to-the-area mother, Jane, comes to her rescue. An unlikely friendship forms as Jane is a much younger mother to son, Ziggy; in fact, many Pirriwee mothers think Jane is a nanny! Madeline's back story isn't a mundane suburban one though. Her ex-husband, Nathan, lives in the district with his new wife, Bonnie, and their daughter who is also in kindergarten with Madeline's daughter. So, things can be a bit awkward at times. I mean who wants to see their ex with his new family all the time? Madeline and Nathan share a daughter, Abigail, who is a surly teenager and is starting to assert her independence. Much to Madeline's dismay, Abigail has shown an interest in her step-mother's zen and yogi way of life. Then there's Madeline's best friend, Celeste in Big Little Lies. 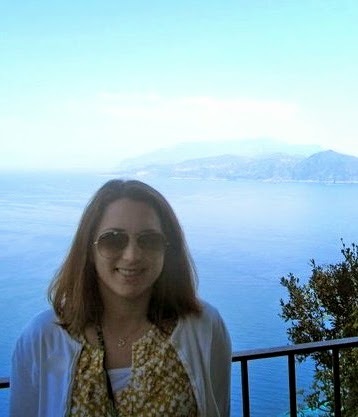 Celeste's life is like a Monet. At first glance, it appears to be absolutely perfect. She has a rich husband, two twin boys, and a lifestyle that most can only dream of. However, if you look closer at her life, it isn't quite the masterpiece that it appears to be from a distance. There are some major secrets between Celeste and her husband; things are very far from being perfect. Both Madeline and Celeste befriend Jane, who is always on the move dragging her young son along with her. 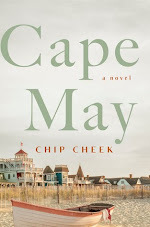 Her nomadic lifestyle is making her weary and she finally settles on an apartment near the beach in the well-off Pirriwee School District. Kindergarten orientation doesn't go as planned though. There is an incident and all hands point to her son Ziggy. However, she knows that he isn't to blame, but the other mothers feel differently, except for Celeste and Madeline. There's a definite divide amongst the kindergarten mothers and this all comes to a head at the fundraiser night for the school, especially since alcohol is involved. Secrets, scandal, and the truth all come to the surface, and thanks to the intermittent clues throughout the novel, there's a murder involved! 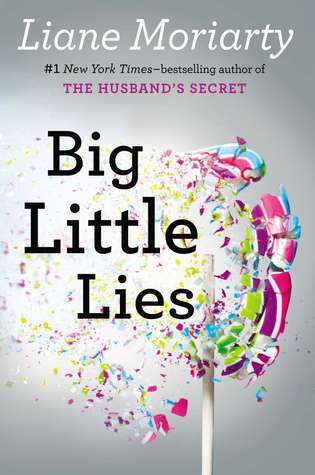 Liane Moriarty's bestseller, Big Little Lies, is such a delicious read. I absolutely loved every second of the story, which kept me flipping the pages till late at night. Oh, Madeline. I loved her from the beginning in Big Little Lies. I am not sure I am supposed to, but I love that she's a flawed mother and owns it in every respect. She definitely isn't one of those Pinterest mothers; she's a sharp shooter, she's got a temper, but she cares deeply for her children and I love that about her. Also, Celeste is another interesting character in Big Little Lies. She has issues, serious ones at that, but it makes you think. She's that perfect mother that we all envy, but deep down her life isn't like that at all! Her super successful husband, Perry, has more issues than Vogue, but presents himself as a completely normal human being. He posts pictures on Facebook that appear to be perfect, but he is deeply troubled and his relationship with Celeste is far from perfect. The way that Moriarty tells Big Little Lies is genius. I love how she framed the plot around a murder mystery, so readers know that it's about to get real at the school trivia night as something catastrophic happens. We slowly piece together the puzzle as it gets closer to the infamous night and I loved how the story unfolded. I can see why Big Little Lies is considered Moriarty's best work. It's women's fiction, but it isn't just fluff. There's a lot of suspense, a murder, and even humor. Despite the fact that some parts aren't funny and are downright scary (as mothers who behave badly always are! ), I found some really comedic parts throughout the novel. If you are a mother to a small child, you will definitely be able to relate to various parts of the story, especially the school politics. Moriarty does a brilliant job bringing it all together. One of the reasons I finally picked up Big Little Lies is the fact that it is coming to HBO next month. If you have been putting off reading this novel, I encourage you to check it out before the show premieres next month. Big Little Lies is definitely one of my favorite novels that I've read in awhile and I'm glad I listened to everyone and finally picked it up! Fantastic review! I'm glad you liked this one. I definitely agree that it's her best work. I was a little disappointed with her new one. I am going to give the show a try though I don't have high expectations. I was disappointed (but not surprised) that the setting changed to the U.S. I have a feeling that is far from being the only change too. I was disappointed with her latest novel as well, Christina. In fact, I DNF it! This one was much better. I will definitely let you know my thoughts on the new show! Thanks for visiting. Yassss! This is my favourite Liane Moriarty novel. It's very complex and intricate. I'm glad you loved it, too! Me too! I really, really liked it. I thought it was much better than her latest novel, which I DNF. Thanks for visiting, Joy! This was my first Moriarty, but definitely not my last! Her stories are just so engrossing. Enjoyed reliving the novel through your review! I agree! This one is definitely my favorite and I plan on reading a few more of her novels in the future despite the fact that her latest novel was a flop for me. Thanks for visiting, Meg! Yay, you read it! Madeline's my favorite, too. I'm so excited for the show. Just a couple of weeks now. Great review! Me too. I am excited to see how she is portrayed in the show. I am glad you will watch it too, so we can discuss! Thanks for visiting, Natalie!